Please find in the documents below information regarding applying for the Rule 608 contract program. Also included are the policies and guidelines governing the program as established by SCCID and the Supreme Court of South Carolina. The application for all criminal and civil contracts will be accepted between March 1 and March 30 of each year. This application process applies to all 46 counties. Previous applicants can resubmit their prior application. However, any necessary changes, updates, etc... to application must be made. Specific details of the program to include compensation and other important terms are outlined in the language of the contract. You must be logged in to complete this application. Click on the button below to register for site access, or log in below. This application is incompatible with this device. Please try again on a desktop or laptop computer. What is the Rule 608 Contract Program? Rule 608 provides a uniform method for appointing attorneys to represent indigent clients in the South Carolina circuit and family courts, based on statutory and constitutional mandates. The 2012-2013 General Appropriations Act granted SCCID the authority to retain, on a contractual basis, the services of these attorneys. SCCID, in conjunction with the SC Bar, established and administers the Rule 608 Contract Program. This contract program provides eligible attorneys to enter into a agreement with SCCID to receive a flat fee per appointed case. The SC Bar maintains lists of attorneys who have been certified by the state Supreme Court to serve as lead counsel in death penalty cases, counsel for other criminal cases, or counsel in civil court cases. 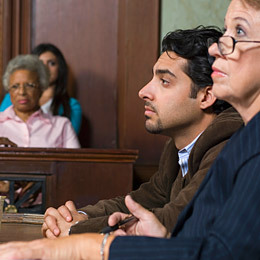 These lists provide the basis for selecting indigent defense counsel.